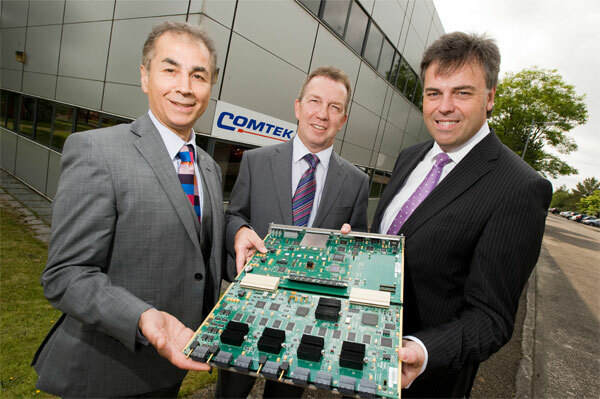 Comtek, has today announced the launch of its new dedicated Nortel Repair Lab in Belfast. Officially opened yesterday, the facilities are housed within Nortel’s former Northern Ireland headquarters, and served by ex-Nortel engineers. Building on the already successful Nortel operations at Comtek’s Deeside HQ, this expansion comes as the company continues to see international demand for its specialist Nortel repair services soar. By establishing operations in Nortel’s former Northern Ireland Headquarters in Belfast, Comtek is able to re-use Nortel’s technology, as well as Belfast’s local pool of talent, thus enabling the team to deliver Nortel repair services on an international scale. The new Nortel repair centre in Belfast adds to Comtek’s already well established expertise in the field. Comtek’s HQ in Deeside, North Wales, currently provides global support and technical services for more than a third of the telecoms products currently on the market today. As demand for these services grows, Comtek has appointed former MD of Nortel, John Freebairn, to its executive team and has tasked him with spearheading the expansion and investment into Belfast.